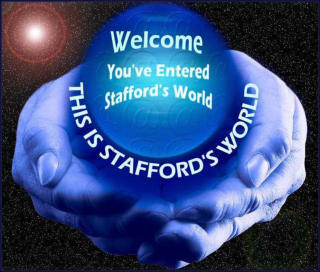 Want to be the first to hear all Stafford’s World shows? If you like the Stafford’s World Shows you’ll love Oldies Paradise! 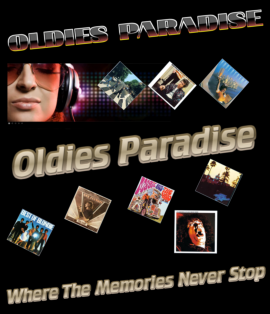 Click on the player on the left to listen to Oldies Paradise on a PC or Android Tablet. http://www.oldiesparadise.com/index.htm You can hear the first play of all Stafford’s World shows every Sunday afternoon at 6pm UK Time on Oldies Paradise with a repeat at 10am UK on the following Saturday morning. NEW STATIONS TAKING STAFFORD’S WORLD As we enter 2019, I’d like to thank all the fine radio stations who broadcast the Stafford’s World shows. The number of stations taking the show has doubled in the past few years. Stafford’s World is now broadcast on over over 85 different radio stations, all around the world. Thanks to all the new stations who have joined the list recently. 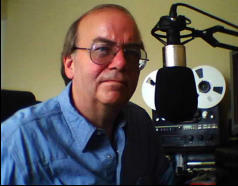 Stafford's World Is a weekly radio programme, presented by Mark Stafford You can hear the show around the world on over 85 great radio stations, such as 4WHO 99.7FM Queensland Australia, Radio Caroline Flashback, Skyline Gold in Hampshire, Radio Ashford UK, Shortwaveradio.de,Castle Radio in Spain, Radio Scilly, Radio KFM 96.3 Kingaroy in Australia, 103FM The Eye, Melton Mowbray, Brill 1449AM, Redroad FM, BRFM, TD1 Radio in Scotland, The Flash DAB Portsmouth,Oldies Paradise & Easy Rock Paradise on the Internet & many more. So, you run a radio station, why should you take Stafford’s World? 1. It is 100% free to all radio stations! 2. The shows are non-customised and contain no advertising. 3. There are filler breaks allowing you to substitute your own ads and promos etc. 4. It is very popular. Over 85 radio stations currently broadcast the show. They can’t all be crazy, can they! Just drop an email to mark@markstafford.co.uk for more information.